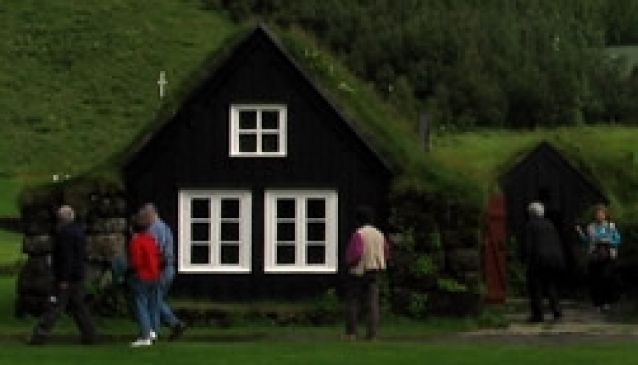 Skógar Folk Museum is really near Skógafoss waterfall - perfect to combine for a mixture of nature and culture! The Skógar folk museum is located on the south coast of Iceland, in the small village of Skógar, by Skógafoss, a large waterfall. The museum has been in operation for more than 60 years, and sports items such as a historic fishing boat, a reconstructed turf house, an old church and a schoolhouse, a café and a museum shop. In addition to this the Skógar museum now houses a museum of transportation which focuses on the development of transport, communication and technology in 19th and 20th century Iceland - starting with the working horse and all the way up to the digital technology of modern days.